The Warranties described below are given to the original purchaser only and cannot be ‘passed on’ or transferred to subsequent buyers or owners, and these Warranties are subject to the procedures, limitations, disclaimers, and exclusions set forth herein. The Warranties cover only approved product applications as recommended by the OakFloorsOnline and this warranty only covers residential usage of the product. Solid and engineered floors are manufactured in accordance with accepted industry standards, which permit a defect tolerance not to exceed 5%. The defects may be of a manufacturing or natural type and this 5% allowance is not valid under this warranty. This warranty applies only to material in excess of 5% that is deemed to be defective and unusable. It is the owner’s and installer’s responsibility for the maintenance of all products after installation and the conditions of this warranty shall only apply when the proper installation procedures and guidelines provided are followed and can be proven thus. 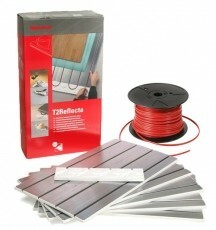 If the recommended storage, acclimatisation, installation and ongoing maintenance guidelines are not followed as per the document enclosed within every carton of flooring supplied, and also available on the website: www.OakFloorsOnline.co.uk – the supplier (OakFloorsOnline) shall accept no responsibility for site failure of any floor or individual floor board, in any way. In the case of any floor complaint or failure, before any action is taken by the supplier, proof will be required that the conditions surrounding the oak flooring have been monitored and maintained since installation. 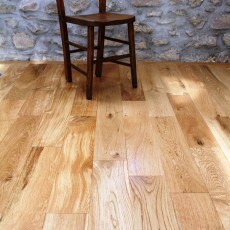 By accepting these Terms & Conditions, the purchaser is confirming that they are aware of the necessary ongoing maintenance required for good floor performance (supplied within this website; www.OakFloorsOnline.co.uk) such as monitoring and controlling the relative humidity level and temperature that surround the installed oak floor, and also confirm that if buying for a third party that they will pass on this information to that third party. Failure to monitor and control the finished floor’s surrounding conditions after installation immediately cancels all warranties and guarantees provided by the supplier, and in cases of claim against the performance of any product supplied, proof that conditions have been monitored and controlled will be required before any procedure or action is taken towards the claim. 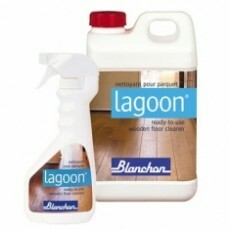 Ignorance of the necessary ongoing maintenance is not accepted by the supplier as a reason for the failure to do so, and no claim will be considered if this is not actioned as advised within this website and emphasised within the documents in every carton of flooring supplied. 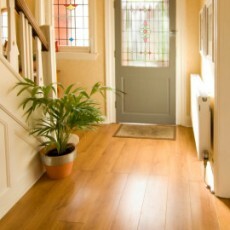 It is crucial that all installations are completed in compliance with the procedures outlined in the company’s installation and maintenance instructions provided and available at www.OakFloorsOnline.co.uk. Failure to acclimatise and install in accordance with the instructions and guidelines, and failure to properly maintain as recommended will void all warranties. No warranty is provided for the replacement of flooring, or the work involved to replace that flooring, that contains obvious defects of any kind that were installed nonetheless by the installer. It is the installer’s and purchaser’s responsibility to set aside pieces with visible defects that are unacceptable and to not use them. OakFloorsOnline/ advise the purchaser to confirm that the flooring meets their expectations and requirements prior to installation. Oak flooring is a natural product and its growth cannot be ‘controlled’, so some natural ‘defects’ allowed within the grade supplied, which have been filled and sanded, may not be acceptable to some customers. In these situations the area deemed as unacceptable should be cut out and the remainder of that plank should then be used as a starter or end board for another run of boards. Likewise, it is the installer and purchaser’s responsibility to check that the moisture content of the uninstalled flooring is within the acceptable range prior to installation. As stated within the ‘Installation Guidelines’ document available in every carton of flooring, no two site conditions are the same, so OakFloorsOnline/ recommend the use of proper moisture reading devices to ascertain equilibrium of the flooring and its surroundings for 3 days constant, before any installation commences. 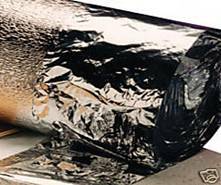 Proof that this procedure was completed before installation (in the form of dated documents) will be required before we the supplier will take any further action regarding any complaint. The installer and purchaser are also responsible for ensuring that the subfloor has an acceptable moisture content and that the relative humidity conditions at the site are suitable prior to installation, and then maintained thereafter. It is the installer and purchaser’s responsibility to inspect the flooring prior to installation and to install the floor in a random and harmonious mix, and with good workmanship. Oak Flooring is a natural product and variations of shade, colour, grain and finish are expected, and must be accepted by the purchaser. This warranty does not apply to claims made on pieces of flooring installed with colour/grain variation or knots that are considered to be excessively filled, and this warranty does not cover poor workmanship by the installer. Once the flooring has been installed, the installer and purchaser have deemed the flooring acceptable and the supplier assumes and accepts no further responsibility for defects or finish variances visible at the time of installation or thereafter. This relates to product quality, structure, design and finished appearance. All our guarantees are dependent on the flooring being installed by a qualified fitter and in accordance to our acclimatisation, fitting, and ongoing maintenance instructions. No refund, replacement or consideration will be offered if the flooring is subjected to excess variations in heat, moisture, or humidity because these extremes will affect the floor’s performance and dimensional stability and structure. The surrounding conditions (temperature and Relative Humidity) must be within the recommended levels during acclimatisation and installation, and then maintained thereafter for any guarantee to be effective. No terms of warranty can be offered for problems arising from these causes or any other that may subject the flooring to unusual and extreme conditions that are known to affect the structure and dimensional movement of a natural product like wood flooring. The size of any piece of Oak flooring is directly linked and proportional to its moisture content, so when it is forced to endure changes within its surrounding conditions, its size and structure will be forced to change due to it either ‘losing’ moisture or ‘taking on’ moisture. Oak flooring can continue to ‘dry out’ after installation unless the surrounding conditions are monitored, controlled and maintained. Any flooring returned for refund must be in a re-saleable condition and re-packed and banded within the original cartons it was supplied. If there is any doubt regarding product quality and acceptability when the delivery arrives, before any permanent installation takes place, the flooring should be laid out without fixing down and inspected prior to the commencement of any installation work. By fitting the flooring supplied, acceptance of suitability and quality is determined. On return of the product, because an external courier is used, no refund can be provided for delivery or return charges. The return charges and costs for any returned flooring must be covered by the purchaser and not the supplier; OakFloorsOnline / . Documented proof of grade and source are required from the supplier of the flooring that our product is being compared with, before any agreement about the price-match can be made. An up-to-date finished floor image and sample are also required, so that we can compare the finished appearance and quality of machining against our product. 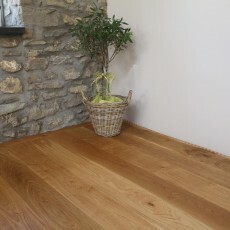 Although we are confident that no other company within the UK can offer a similar quality as ourselves at better rates, the right to decline such ‘price match’ agreements with other products remains as an option for Oak Floors Online but thorough details of our decision will always be provided. No compensation, discount or refund will be offered for any indirect costs such as installation charges, delivery charges, labour charges, inspection charges etc. Any claim must be formalised in a written letter and must be submitted to the supplier along with the original receipt for the goods supplied. The above guarantees do not apply to products that have been subjected to excess wear and tear or treated in an adverse manner not common with the use of wood flooring. Surface defects and general scratches must be expected and accepted as normal after the flooring is installed, so no compensation will be offered for this type of ‘common usage’ appearance. 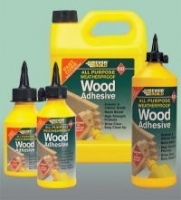 The above guarantees apply only to the purchaser of the product and these guarantees cannot be ‘passed on’ to others such as owners or purchasers from distributors or agents of OakFloorsOnline.co.uk / products. Distributors and ‘re-sellers of our products must provide their own Terms & Conditions to their own direct customers, and OakFloorsOnline / will accept no responsibility for claims from ‘3rd party’ customers. Failure to pass on relevant information when ‘reselling’ our products to 3rd-party customers will ultimately cancel the right for any claims involved thereafter, whether those claims are by the purchaser or their direct customer. 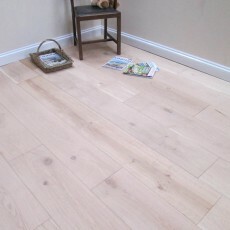 It is vital for good floor performance that the conditions surrounding the installed flooring are maintained and controlled, because any fluctuations may reduce or increase the moisture content of each floor board within (the dimensions of every oak plank are directly related to the moisture content of that plank, before and after installation). No warranties shall apply to any product or products designated and sold as clearance or non-standard items. Any product or products so designated are sold “as is”. If in the unlikely event any portion of your floor should fail with respect to the provisions of these warranties, the flooring will be replaced (material only), at no cost to the original purchaser, with the same product or another product of equal value. Claims must be filed within the warranty coverage period and receipt verifying date of purchase and the ownership of the products will be required. The company warranties are not transferable and the warranties are valid ONLY if the owner can provide an original proof of purchase. The company reserves the right to have a designated company representative inspect the floors and remove samples for technical analysis. No distributor, installer, retailer, agent or employee has the authority to alter the obligations or limitations of any company warranty. 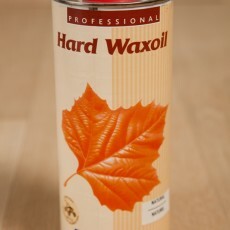 Prices quoted within the website are subject to the current rate of VAT. The quantity required must be confirmed by the buyer and not the supplier, so the actual number of full cartons will need to be confirmed at time of order, by the person who places that order. If the order is placed via the website, the quantity entered will automatically be adjusted into full cartons but if further cartons are required at a later date to complete the project, this will be subject to a similar delivery charge. Because prices of oak can fluctuate depending on currency exchange rates and shipping costs, every quotation is provided with prices relevant at time of enquiry. We strive to pass on any reduction in cost price to our customers but likewise we have to also pass on increases too, for obvious business reasons. Prices quoted will stand for 3 months from the quotation date – this does not include special offers or prices that are already discounted from the usual selling price. These prices are already reduced and may be changed by the supplier at any time during or after the offer period. ‘JOB LOT’ Special Offers are sold ‘as seen’ and cannot be refunded after delivery, so please ensure that you read the description details of any such offer carefully before ordering. Demand can have an effect on stock, so please always check availability before committing to any time schedules for your project. We use external couriers for 95% of our deliveries throughout the UK, so there must be someone ‘on-site’ to accept delivery and help with offload. We can arrange for the courier to phone ahead to give some notice of arrival but we as the supplier can accept no responsibility for delivery failure for any reason. Repeat deliveries may be charged again. 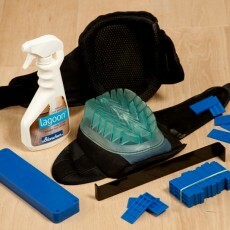 If you need the products to be carried into your property, please arrange this yourself. No fitters or installers should be booked until the delivery has arrived and the product checked and confirmed as suitable for acceptance. Exposure of oak flooring to direct sunlight will alter the colour of the floor and could possibly cause movement of the floor boards in some extreme cases. This is a natural reaction for wood flooring and must not be considered a defect and is not covered by the warranty. If you want to avoid this natural movement within your floor, use curtains, blinds, drapes or other suitable means to protect the floor from direct exposure to sunlight, and maintain the conditions within the room consistently with suitable humidifier units. It must be understood and accepted that an Oak Floor is a natural hygroscopic product that will react/respond to the conditions it is subjected to, so changes in or extreme levels of heat, moisture, or humidity will affect the Oak Floor’s performance and dimensional stability. No terms of warranty can be offered for problems arising from these causes and we recommend that surrounding conditions are monitored and controlled. Failure to do so cancels all warranties and no claim for product failure will be considered. 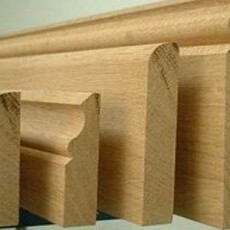 Oak being natural and grown as a tree and then cut, there are sometimes variances from batch to batch regarding finish. There are many contributing factors to how a certain finish will ‘take’ to a natural oak floor board, including the porosity of the oak itself and also the temperature and humidity during production. We will always do our utmost to supply sizes, grades and finishes that are as consistent as possible to previous batches but we cannot guarantee this. We have a QC tolerance system that we work to and with, but Oak Floors Online will not take responsibility for different batches of flooring not matching up if purchased separately. /Oak Floors Online reserve the right to cancel any order at any time and refuse delivery, no matter what the reason; whether it be deemed as the fault of the buyer, the seller, or the website. By visiting or using this site, you agree to and accept these terms. Indemnity: It is a condition of use of this site that you agree to indemnify OakFloorsOnline and , their officers, agents, suppliers and partners against liability, costs, expenses and damages arising from your use of the site and content. Information: Information on this site is posted in good faith and updated periodically but OakFloorsOnline, nor can guarantee its accuracy. Neither can suitability of any product be confirmed by information within this site and can only be confirmed ‘on site’ by the installer/purchaser. Changes: OakFloorsOnline and reserve the right to change or modify the site, including prices, at any time without prior notice. Copyright: It is a condition of use of the site that you agree that all information and site content provided to you during the use of the site or generated after use of the site are the property of OakFloorsOnline and . Your access to the site does not give you permission to reproduce or distribute material from it, except for your own personal and non-commercial use. By using the site, you agree not to copy, modify, distribute or create derivatives of this site’s content. Links: OakFloorsOnline and accept no responsibility for links to other sites from this site. Supply: The supply of all or any product and services is subject to availability, and may be withdrawn at any time without notice. Law & Jurisdiction: These site terms will be governed by UK Law and any dispute subject to the jurisdiction of UK courts.